When I was strutting around Target the other day with my main man Beckett, I spied something that stopped me dead in my tracks. A whole bunch of boxes of white canvas Converse All-Stars, right next to packages of Sharpie fabric markers! This is some brilliant marketing I must say. I’m just surprised this setup isn’t somewhere more prominent in the shoe area; they are on random end caps. But I found them, oh yes I did. 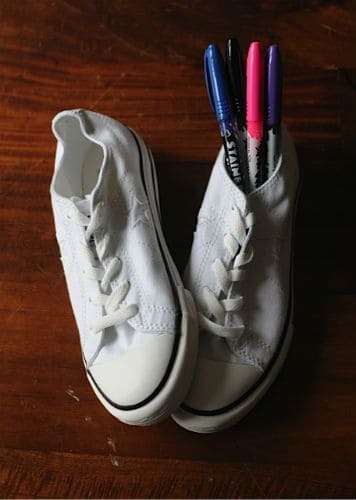 Time to make Sharpie Shoes. Wait- you didn’t think she’d forget the shoelaces, did you? I love what she did. We started out by doing a Google image search for Sharpie + Converse, and perusing all the inspiration. Then she jumped in and did her own thing. Apparently they were a huge hit at school, because even the 5th graders were complimenting her. That’s huge. I love these projects that are open and fun, but still get kids thinking in a design mindset. They end up living with, and using the items they create, and they get to feel that sense of pride, but also think ahead to their next creation. What would they change? What do they like about what they’ve made? It all gets filed away in that creative area of the brain and is put to use the next time they pull out the markers. * I’m not sure if Converse are still available at Target. 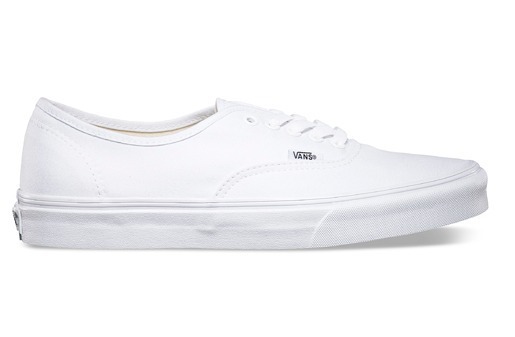 Or you can use this link for Converse on Amazon or white Vans The white slip-ons would be especially fun to draw on. ** I discovered something wonderful the other day. Here is a chart to show you how kid-sized shoes compare to women’s. So if you can only find women’s size 7 shoes, but you need a kid size 5, it’s the same! Awesome. Oh, hey. 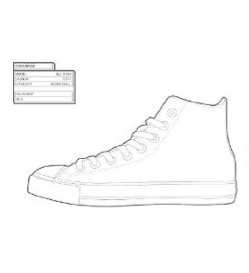 I don’t want to leave out you old parents who want to make these for yourselves, but couldn’t be seen in public wearing them…..
It’s the Sneaker Coloring Book, full of 100 line drawings of popular sneakers for you to make lovely. Enjoy! NO WAY! Just Sharpie’s? The shoes turned out amazing!! My kids will want to do this! They turn out so great- it’s the kind of project every kid wants to do, and it’s satisfying because they look awesome. Hmm.. Now I want to go to Target during lunch! Does the color come of the shoe and onto your fingers later? Ha! That’s the same reaction I have when I see a good project. The marker didn’t come off on my daughter’s fingers at all- She specifically used the Sharpie fabric markers- which I hadn’t known they even made. Come to think of it, she added in a bunch of regular Sharpie marker colors as well, and no mess. I am assuming the marker will rub off the rubber parts at the toes of the shoes eventually…. Great idea, my 12 year old will love this! Visiting from SITS. Oh, I’m so glad- this is a great 12 year old kid project! You are so creative! I absolutely love this blog. I need to pass it along to my mother. She was an art major in college and an art teacher for several years. 🙂 Thanks for stopping by to visit mine earlier! What a great idea ….. I am sooo going to use this idea!!!! I am glad that I found your site (thanks for the comment on mine too). I can’t wait to explore more! Maybe we can even do some collaboration! Love this! I saw some black line and white ‘coloring book’ converse + the pens at Target. Seriously, genius. Your daughter did a great job on hers. So glad I found your blog via SITS. I’m subscribing! What!? I didn’t see those- that sounds awesome. What a great idea. I think we were on each others’ sites at the same time! absolutely love this. the teens are definitely going to want to try. target you say? you know J, you would be such an awesome art teacher. really. 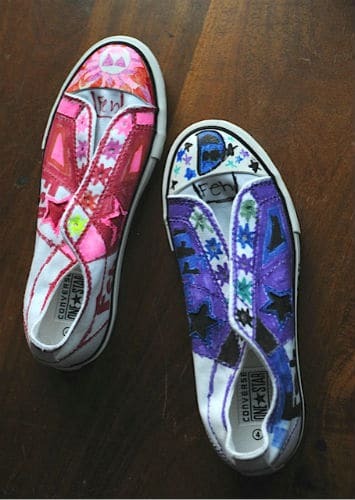 She did such an amazing job of decorating her sneakers! 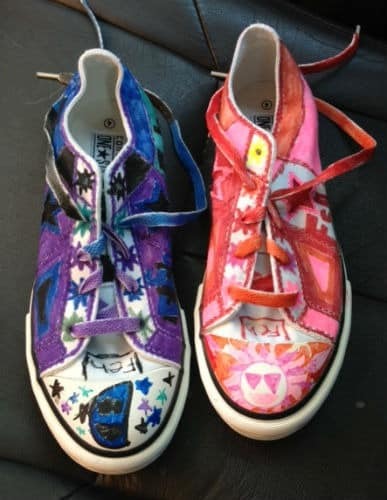 I love that she colored the laces too. Yeah- she went all out. She was laser-focused on finishing them once she started.